A report released today by the Congregation for the Doctrine of Faith has revealed that most, if not all, of the sins you’ve ever confessed in your lifetime were never actually forgiven due to the use of improper absolution. According to the 76-page report, which took into account forgotten or neglected words, as well as coughs and sneezes during absolution, which clearly negates and supersedes the priest’s intent to absolve, almost every single confession you’ve ever made was invalid, and thus, has left you in the state of mortal sin, and just one little accident away from eternal damnation, wherein you will spend the rest of eternity weeping and gnashing your teeth in the fires of Gehenna. 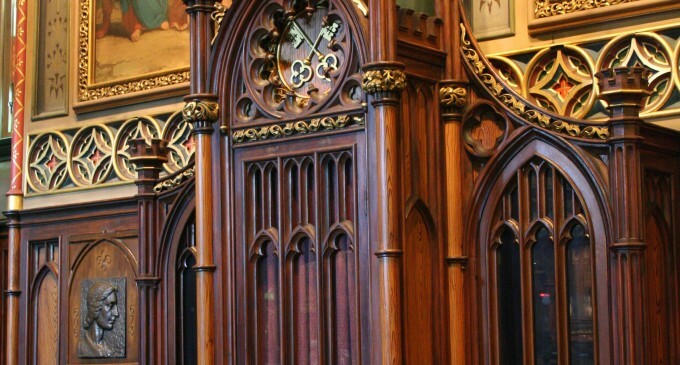 At press time, His Holiness has rejected the petition, but has agreed to allow speakers in the confessional, that all might hear your sins as well as the priest’s absolution, thereby ensuring better odds that someone will catch an invalid absolution.